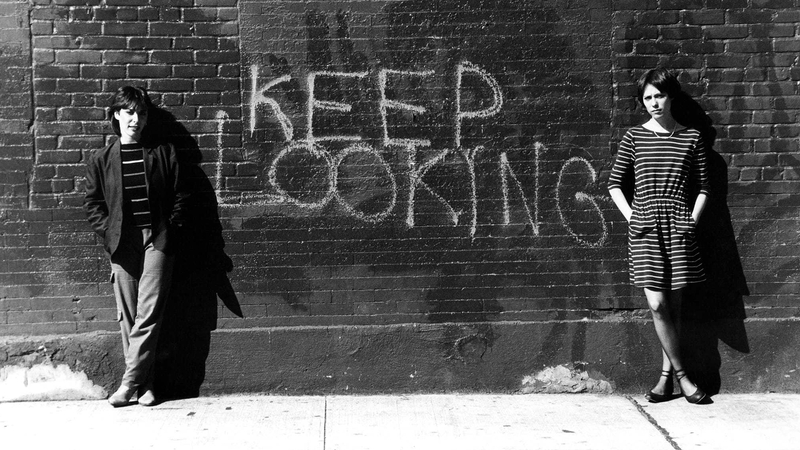 The grimy, crime-ridden cesspool of New York in the 1970s and early 1980s is a well-worn cinematic setting, but in her debut 1982 feature Smithereens, indie director Susan Seidelman used guerilla filmmaking techniques and a faux-documentary style to unearth the vitality and the verve of urban life at the bottom. Smithereens opens with the punkish Wren (Susan Berman), plastering posters of herself over the walls of the New York subway in an aimless act of self promotion that would put today’s Instagram millennials to shame. When she hands a poster to handsome poseur Paul (Brad Rijn), he’s instantly taken – little does he know she’s as new to the city as he is, and as far as Paul is concerned, represents the heart of New York’s underground culture. Unsurprisingly, Wren is not half as interested. Nevertheless, as a newcomer herself, escaping her dull suburban life in New Jersey, she leads Paul on and crashes in his van when it suits her. The more of Wren, Paul, and Wren’s sometime skeezy boyfriend Eric (Richard Hell) we see, the clearer it becomes that this is a world defined by mutual and endless exploitation. Seidelman’s authentically punk style is brilliant in its depiction of the seedy underbelly of the city, and the grainy, on the fly cinematography is infused with a tangible grimy cool. The New York of Scorsese may be held in high esteem, but never has it felt more viscerally alive – a sweating, breathing, mean organism – than the way Seidelman shoots it. Nevertheless, the closer we look at the grubby urban glamour, the more it seems to wane. The New York of 1982 may not have been the gentrified tourist trap of the 21st century, but it was hardly the forsaken hell hole of the 1970s, either. If Smithereens has a moral, it’s rooted in the sense of New York as an idea, and as an idea, New York is fundamentally cinematic. Here, authenticity itself becomes a commodity; Paul and Wren are both searching for the hellish authenticity of The Panic in Needle Park, or perhaps the subversive glamour found in Paris is Burning. Wren goes searching for iniquity and finds it, but in doing finds herself stuck in a hell of their own making. Wren’s shallow cynicism and willingness to exploit others ultimately exposes her own vulnerability. Deeply unlikable, she remains sympathetic, both perpetrator and victim of the meat grinder that is the city.